Theresa May told her party on Monday she would serve as prime minister as long as they wanted after a botched election gamble plunged British politics into its deepest turmoil since last June’s shock Brexit vote. Despite her party’s expectations of a landslide victory, May lost her majority in parliament, pushing her into rushed talks on a support agreement with a small eurosceptic Northern Irish Protestant party with 10 parliamentary seats. Discussions with the Democratic Unionist Party will delay next week’s Queen’s Speech, according to media reports, and could also put back the start of Brexit divorce talks. May faced Conservative MPs at a meeting of the party’s 1922 Committee. Despite anger at the election, she was cheered briefly at the start of the meeting. 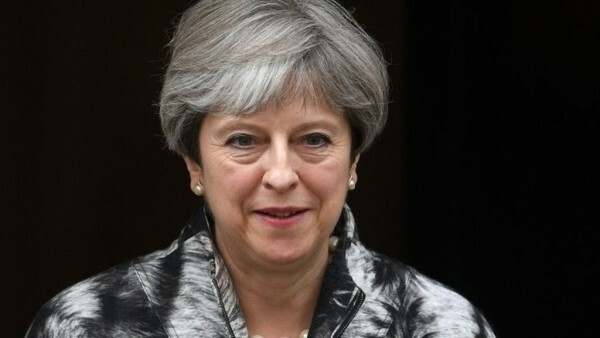 While some members of her party have said she will have to go eventually, May is expected to stay on as prime minister at least for now. “The Tory (Conservative) cabal kicking up a hard Brexit approach is dead in the water,” Sturgeon told Sky News television on Monday. May’s spokesman insisted her position on Brexit remained unchanged but Scottish Conservatives were pushing for her to move the focus onto economic growth and away from immigration, sources in the Scottish branch of the party said. EU talks might not begin on June 19 as expected, Brexit minister David Davis said and the Queen’s Speech, due on the same day in which the government traditionally spells out its policy plans, has also been delayed, the BBC reported. Before the government can do anything it must finalise a deal with the Northern Irish Democratic Unionist Party (DUP). May is due to meet its leader Arlene Foster on Tuesday.